Pirone, J. (2018). 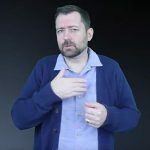 Does Music Have a Place in ASL Pedagogy? Journal of American Sign Languages and Literatures. 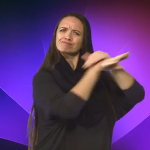 Does Music Have a Place in ASL Pedagogy? by John S. Pirone is licensed under a Creative Commons Attribution-NonCommercial 4.0 International License. Based on a work at http://journalofasl.com/music-asl-pedagogy/.